I installed today the trial of StreetDeck in my eo V7110 and it works very well! It's very easy to use and very well designed with buttons big enough to be clicked with your fingers. JKK posted a few pictures at his blog of a home made car mount for TabletKiosk i7210. I just got an email from Jan Olsen, from Imagine Lan telling me that UltraSync has been released. 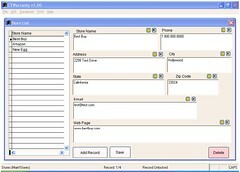 This program allows you to synchronize your copy of Outlook in your UMPC with the one you have installed in your main PC. And the most important thing is that it merge whatever changes you have in both PCs. This is a completely new feature never seen before in any other solution. Until now all I have seen are programs that overwrite the PST file in your PC with the one from your UMPC if this one is a newer file. You can download a 14 days trial version of this program here. You may be happy to know that we included a feature that will auto-configure the Window XP firewall to allow UltraSync to communicate over the TCP/IP sockets. Also, some people have had concerns about "sharing" the UltraSync folder during partner setup. I hope people will know that this folder share is just temporary and the folder can be "un-shared" as soon as the initial partner setup is complete. The actual sync process does not use folder sharing. BTW - UltraSync is preloaded on the new Sony UX-280P (????!!!!) 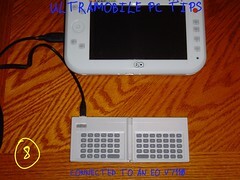 and should be shipping in Oct.
Steve has posted some very nice pictures taken by another geek known as Jkk comparing the two TabletKiosk UMPCs. I just received this email from Hugo Ortega, the guy with 1000 gadgets! This is about the most exciting release I’ve been able to forward to you – the Q1 is Officially Available in Australia. While for most of you in the USA it will come as a shock that it actually isn’t available! It is for us too. The official availability means that Australia is now finally on the Origami Map! IBM is recalling 526000 batteries made by Sony according to news published today in Washington Post. Lenovo and IBM's move to recall ThinkPad batteries brings the number of battery cells recalled to more than 6 million since Dell Inc. Wow!!!!!!!!! That's a huge number! I never have seen a recall like this. 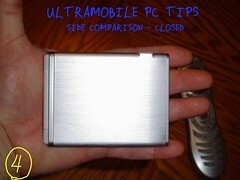 JKK has just uploaded a video review of the TabletKiosk i7210, one of the most complete UMPC in the market today. 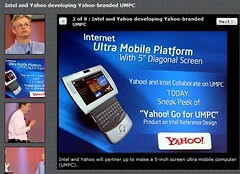 Intel provided a sneak peek at one of the UMPCs planned to hit the market in 2007 - a Yahoo-branded mobile device - that packs a comprehensive feature set into a small form factor. Technical details were scarce, but the presentation and hints given by senior vice president Dadi Perlmutter indicate that this will be the UMPC Microsoft and Intel should have introduced earlier this year. According to the executive, the devices will not use Core 2 Duo processor, and "consume approximately half the power of today's CPUs with approximately one-fourth the package size." Looking at Intel's current portfolio we would speculate that the device will use a low-voltage or ultra-low voltage Core Solo processor with 1 MB of L2 cache. The last Tuesday Asus presented the R2H to the Spanish Market. You can find a few pictures of that event here. They did not say during the event anything that we have not hear about it already. 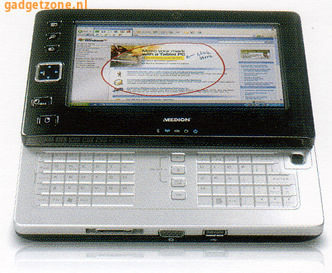 One thing is for sure, we should see other UMPCs from Asus in 2007. Amazon is offering the SlingBox for just $139.99! 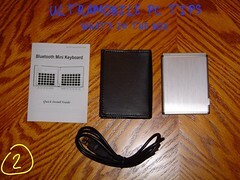 Steve got his UMPC, an eo i7210, and of course his is posting a lot of pictures. Did I say a lot? Of course, after all these pictures a good review is coming so stay tuned. Optimize for resizable windows using a standard screen resolution of 1024 x 768 pixels. Support the minimum Windows Vista screen resolution of 800 x 600 pixels. So, one more time I'm asking: is Microsoft really supporting UMPCs? I was driving today to my work and as usual I had my radio on when they started to play a song that I like, Complicated by Avril Lavigne, knowing that I do not have that song in my music collection I got frustrated because I did not have a way to push a bottom while that song was playing to buy it at iTunes. So I thought for myself "why things have to be so complicated?" Thanks God, I was close to my company building and from the parking lot I picked the WiFi signal, got connected with my UMPC and bought that song before I entered the building. 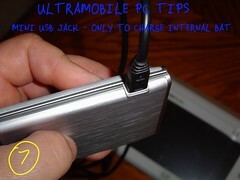 Probably if I was using my UMPC has a car companion pc I would have done that right there at that moment while the song was playing but in my case I have to connect via BT my UMPC to my Phone and I would need to buy a car stand or rack for my UMPC and I have not done that yet. "Why things have to be so complicated?" Well, I guess my UMPC saved me today from losing a song that I wanted in my collection because once I'm inside of that building I would not have time to buy that song and in few minutes I would have forgotten about it. A new UMPC is about to be released by Black Diamonds, this time a rugged UMPC prepared with all the specifications required by the army: shock, vibration, dust, moisture, and extreme temperatures. 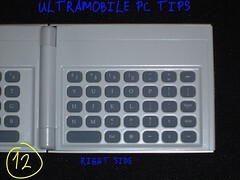 According to ABC News, Switchback PC - this is the name for this UMPC- has a built-in keyboard. Black Diamond is calling it a condensed QWERTY keyboard, similar to the one found on the latest BlackBerries. It's basically a thumb board with two letters on each key, and it learns your typing habits as you go. 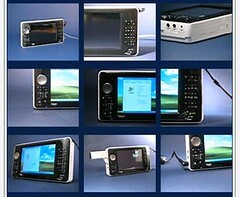 The screen is a sunlight viewable display measuring at 5.6 inches and sporting a 1024-by-600 resolution. Other impressive features include built-in GPS, Bluetooth, and WLAN. The hard drive and batteries are hot swappable. And Black Diamond has something called a User-Defined Module which attaches to the back of the unit and lets you define your hardware needs. You have a wealth of modules to choose from, such as modules for extra USB ports, high definition audio outputs, terrestrial radios, barcode scanners, digital cameras, breathalyzer, joystick controls, and the list goes on. 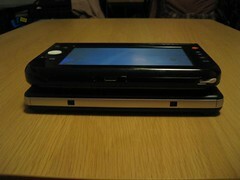 This UMPC will use a 1GHz Celeron M processor and 1 GB of RAM. So far the price is unknown but one thing is for sure, this is not going to be a cheap one. TabletKiosk will be doing a serie of presentations in different cities. The TabletKiosk team is joining forces with Apex Software to sponsor four roadshows held in conjunction with the Apex CE Training Seminars. The TabletKiosk Demo Days Roadshow is open to all UMPC enthusiasts, Windows® XP Tablet Edition fans and TabletKiosk customers. Please join us for these hands-on seminars where you will have the opportunity to see and try out the full line of TabletKiosk products, chat with members of the TabletKiosk team and meet some of your fellow Tablet PC and UMPC enthusiasts. 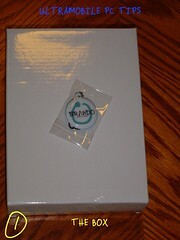 In addition, all attendees will have the opportunity to win a $300 gift certificate to the TabletKiosk.com web store. You can find the list of cities, locations and dates here. Asus released the R2H after 6 months of doing I don't know what. If you don't understand why I say this check this post. 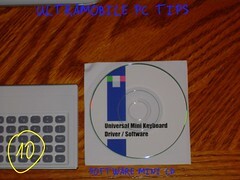 So far, I have not found an UMPC that has been released free of "little" issues. Asus had 6 months to learn from the competition mistakes but if you check the list posted in the above link you will find problems that are common in all units current being marketed. And these issues are mostly relative with screen calibration and screen rotation. Taking in consideration that Windows XP Tablet PC Edition is present in all of them and that the screen shape (800x480) is the same in all of them, I ask myself, are these signs of an Operating System that's not capable of handling the 800x480 resolution? And right after this first question a second one comes to my mind: is Microsoft taking these devices and this new resolution in consideration in the new coming Operating System Vista? Is Microsoft really supporting this new Market? Come on Microsoft, We believe in this new market, are you believing? VIA has just released new video drivers for VN800 UniChrome Pro integrated graphics, the same video chip used in our Amtek T700 aka TabletKiosk eo v7110 devices. I have not tested/installed these drivers yet and I could not find any information about what is new in these drivers or what has been fixed. Steve at Carrypad.com is reporting that you can use Vega UMPC for 7 hours playing music with the screen off. After reading this I wonder why somebody would buy an iPod if for some hundred dollars more you can get a Mini PC that does the same and can play movies at a higher resolution and on top of that could keep you connected to Internet and give you all the functionality of a PC? 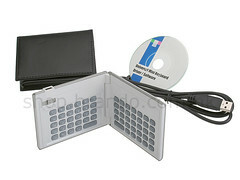 A real 4 in 1 device: Portable DVD, iPod, Internet communicator and PC. I bought one of the LOST episodes in iTunes movie store to confirm that eo V7110 and iTunes movies are a waste of money. No matter what I did to tweak QuickTime, it's performance is choppy. It works better than what I experienced playing a movie preview within iTune but still not a good experience. So eo v7110 owners, do not waste your money in iTunes movies. QuickTime and Amtek T700 are just a bad marriage... thanks to VIA video drivers I should add. The Amtek T700 aka eo V7110 has enough recourses -including 64 MB of shared video memory - to play movies no matter what program is used. Update: Somebody (Jeff from LA) has pointed me that probably the problem here is QuickTime and iTunes that are very well known resource suckers. And I would say that probably are both, Apple and VIA the cause of this issue in Amtek T700. The reason why I blame on VIA drivers is because for example, PowerDVD and WinDVD have the same problems if they are using filters that are not prepared to use VIA video drivers. I think that that's one of the problem here. Quicktime can't use any of the hardware capabilities of VIA video chip. According to Ultranauts.com the UMPC concept will succeed because there is Asia. Many people in Asia do not know how to write in their native language using keyboards - I have to confess that I did not know that that was possible - but they find the use of the TIP included in Windows XP Tablet PC Edition very comfortable because they do not have to learn "how to write"! Another reason why UMPC are popular in Asia according to this page is because in Asia they prefer small gadgets. Kevin at JKonTheRun has written a very nice article about what we have learned about Origamis Devices in the last 6 months. He makes emphasis in what are the different options to enter data into these devices and I have to admit than even when I use only one of them (TIP - Recognition) I felt very good reading about how many different options do we have. My conclusion is simple: You wont find out there any PC with that many different options to choose from when you are talking about entering data to them. Just think about it. And this is one of the main points that many early "reviewers" from those so called specialized magazines missed. Steve has publish a full review of the new Vega UMPC. Its not a gaming machine or a tool for office professionals and the lack of built-in WiFi is going to attract a lot of negative comments but combined with it's class-best mobility (only the much more expensive OQO beats it) its style and ability, I rate it very highly as a UMPC. He is probably is right but I still think that 4 to 5 inches display in UMPCs are for casual tasks. I also read a comment in somewhere saying that Raon is preparing a second version of this UMPC with WiFi and BT integrated. AgoPC is selling the ago7 aka TabletKiosk eo v7110 for just $799 this is 200 dollars less than the same configured model sold by "their competion", according to David Carroll CEO of this company. You can read the full press release here and if you decided to buy this device here is the link to their store. 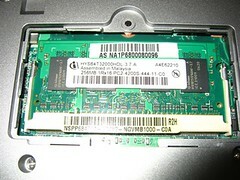 The ago7 has 512 MB of RAM and a 40 GB HDD. Well, what I can say... I'm happy to see that we are getting close to the price range between 600 to 700 dollars. This is the range price that I believe is fair for these devices. 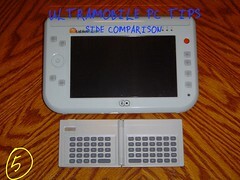 BoxWave has just released a new product: The Cleartouch Screen Protector for UMPC! For only 27.95 dollars. 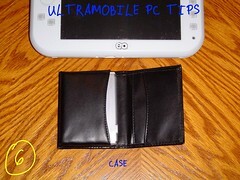 I have been a long time user of their Screen Protectors for Pocket PC and the quality of those is very good. Vista RC1 is available for download here. I missed previous opportunities to get a copy of Vista to test it and using this link I finally ordered a Vista DVD for around 5 dollars. I tried to download it but I had problems with FoxFire Beta 2 so I ended ordering the DVD. I have installed Office 2007 in my eo v7110 and I installed recently the B2TR. I completely agree with Warner Crocker at GottaBeMobile, after this release Office 2007 is running a lot faster than it's previous release and than Office 2003. I like the changes in Outlook but at the same time I have ran into some problems. Now two of my Outlook "must have" add-ins are not working any more: TEO and Trend Micro Anti-Spam Pilot. These two add-ins were working in previous version and now they are disabled and no matter what I do I can't enable them back. I have contacted both companies but I have not received yet any reply with a solution for this issue. You can find a long list of other issues and in some case solutions here. 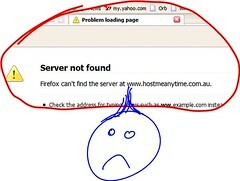 Yes, according to this news published in ABC News, Microsoft will release soon a new service called SoapBox in MSN Video. This is going to be new video share service that according to the source will bring the capability of viewing videos "in slightly larger windows than those competing services offer, and users will be able to expand videos to the full screen while they are playing, rather than having to jump back to the beginning and start over." Seems good to me, as long as they do not impose the use of WMV file format in this service. JKK has uploaded a new video where he shows an Amtek T700 with Vista installed and everything working. In his last review the hard keys were not working but in this video they are working using a 3rd party application. According to JKK, Vista is not good in this device if you are planning to use applications that need to process a lot of graphics. I have been following all JKK's video and it seems to me that Vista is running very fast in his device. In mine IE 7 opens a lot slower than in JKK's Amtek! Here is video of an application made in VFP (Visual Fox Pro) with full ink support (link). Few days ago I posted about my first steps in this direction but on that time I did not have ink enabled objects connected to any table. In this video you can see a form that collect information in ink that is saved as text in a VFP Table. 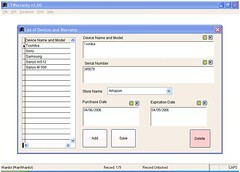 The application name is CTWarranty and it allows to keep a database with all electronics or appliances that you own and keep track of their warranties. I still working on it and I probably will release it as a Commercial application with a very small price tag. I'm working on it on my eo so the screen size of all forms is designed to fit in the 800x600 resolution of UMPC devices. And of course it will work in any Tablet PC. Opinion and desired features are welcome. Probably there are thousands of different ways of doing this, but UMPCs and Tablet PC owners can do it easily using Snipping Tool, a wonderful program included in XP Tablet PC Edition. 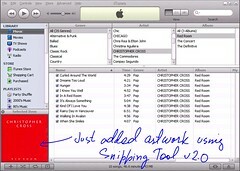 Some of my albums in iTunes do not have an artwork, this video shows what I'm doing to create these artworks with just the "Copy and Paste" option of Snipping Tool and iTunes. Dennis Rice at GottaBeMobile is asking this question: Where are Vista Drivers? He bought recently a TabletKiosk eo i7210 which comes with a "Vista Capable Logo" but the reality struck him yesterday when after installing the latest Vista Beta Release he discovered that no Vista Drivers are available for this device. 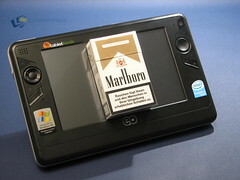 The same experience is reported by users that have installed Vista in the eo v7110 from TabletKiosk and in Samsungs Q1. We are getting close to Vista official release and still no drivers available for Vista in any of the UMPCs in the market. Probably Dennis got wrong what the "Vista Capable Logo" means, it means "Eventually you will be able to run Vista in this device". 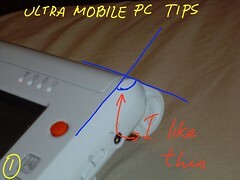 But he is lucky that he got that logo in his UMPC. As a UMPC owner that did not have that "Vista Capable Logo" in my device I wonder if I should stick a logo in mine that says "Probably I'll see Vista Running in this device". And I use the word probably because all depends of what the OEMs want to do. The market moves very fast and in 6 months the priority of these manufacturers is going to be other newest devices. So this is the best time for us to ask about "Vista compatible Drivers" for our devices. Yes, yesterday I commented that Steve was "virtually killing" the little Vega with the amount of tests that he is running in this poor little beauty. And when I thought that he was done with all tests I found that he is converting Vega in a Road Assistant. Check this and this other post. I really think that XP is not for a 5 inches or less screen but looking at what Steve is doing makes me think that there is market for any Small Factor PC. Take as an example what happened to Hugo Ortega and his famous P1610 video, hundred of thousands unexpected downloads. No doubt about, despite the bad reviews written by some called "experts" the UMPC concept is probably the most revolutionary idea since "laptops" apparition in the market. 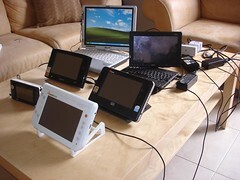 Gavin Gear has been posting articles about how to program for Tablet PCs. His latest article demonstrates how the system used in Vista is a lot better than the currently used in XP Tablet PC Edition. I don't know if you have checked the JKK's video about Vista installed in an eo V7110, if you did it I'm sure that you noticed how JKK was really impressed with how good was ink recognition in Vista. Talking about JKK, he is posting some screen shots of Vista in his blog. Steve has continued to run all kind of tests in Vega UMPC as you can see from his latest report. From what he is saying seems to me that Vega is less powerful machine than the eo V7110. For example he is reporting problems with iTune 7 which I installed yesterday in my eo V7110 and run perfectly - btw, I like the new iTune look and the 3D browsing of albums. Google Earth worked very slow in Vega while in eo v7110 is not perfect but it's not slow at all. The lack of Bluetooth and Wifi is causing me a problem. For Internet access via my cellphone and WiFi its just not practical to be having to remember to take and insert a USB stick in every time. Wifi performance using the USB stick was below what I get with a DLink CF card but as it's a USB add-on, it can easily be changed - said Steve. Come on guys we are living a new era of connectivity. Releasing this beauty without any connectivity is just a bad joke. Do not you think? Microsoft has released an add-in that allows Office 2007 to save documents as PDF files and XPS files. Lora at What is New has "reposted" a very good article showing Tablet PC owners how to turn a Tablet PC in a PhotoCopy Machine. After reading the article I thought "what the hell, this can be done too in any Origami Device!" JKK has just posted a two part video of Vista installed in a TabletKiosk eo V7110. I have to say that I was surprised to see Vista running the majority of the time very fast. The new TIP seems very fine. I would like to thank JKK for answering my questions. I really appreciated. It's really nice to see how more and more OEMs are taking seriously the market need for Small Factor PCs. This time is Fujitsu with the new P1610. 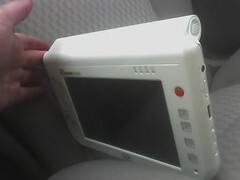 I have to say that I do not like convertible Tablet PCs but Hugo Ortega has done a very good job selling this Fujitsu. What I like from the P1610? It has a touch screen that is not affected in anyway when you lay down your hand on top of it to write notes. It has integrated 3G connectivity. Brando has released a new Mini Bluetooth Keyboard which is compatible with almost everything starting from Windows CE and ending with Windows XP, including Palm and Symbian. This keyboard use rechargeable batteries that can be charged attaching the keyboard to your PC using a supplied USB Cable. I contacted Brando to check if that added also USB functionality to this keyboard but the answer was No. JKK installed Vista in his T700 (V7110). He did not post here to many details but from his works it seems to me that he got it fully working and he's planning to shot a video about it. Steve at CarryPad has just posted his first impressions about Vega UMPC. I hate the USB WiFi stick. Its such a good looking device and then you have to plug the the stick in. I don't know why Raon thought they should leave it out. Mad. The same goes for Bluetooth. Without Bluetooth, it will seriously limit it's use in a car. GPS, Cellphones and Audio devices could all be integrated with this device but if you have to put a USB stick in, it will reduce it's appeal. I agree with Steve. 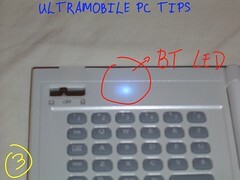 For me an UMPC without an integrated WiFi and BT is not an UMPC. Yesterday I was asking myself what was inside of that compartment hidden behind the battery in the Asus R2H. Well, We have now the answer thanks to one of the proud owners of this device (link). A 256 MB Memory Module. This is a nice feature from Asus that allow owners to upgrade their devices with more Memory without "voiding the warranty". 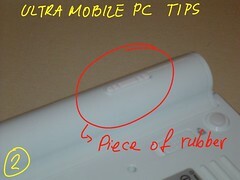 One of the members at Origami Project Forum has posted a nice photo review of the Asus R2H here. The battery design in this UMPC is a lot better from the point of view of creating Extended Batteries. Being a flat Battery the weight is distributed along the whole back surface making the unit easier to handle. 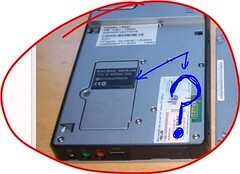 Also in one of the pictures can be seen a compartment that probably could give access to memory banks or mini PCI slot. Hugo Ortega got a Vega from Korea. He posted a video review but seem to me that he did not count with the huge popularity of his video shows, the traffic in the first few hours was so big that the link for the video collapsed. Our reader Jeff reported early today that the Asus is listed at mycom.nl for a fantastic price of €699.00 that's 885 dollars. No a bad price for an UMPC with 512MB of RAM and a 40 GB HDD. Let me start saying that I consider the eo Extended Battery (6 cells) a must have. 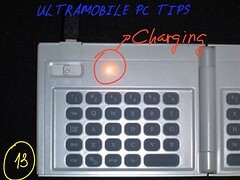 The original battery does not have enough juice to convert the eo v7110 into a real Ultra "Mobile" PC, no even to watch the majority of the movies in the market. The 6 cells battery has enough power to watch King Kong. But even the Sun has dark spots. The eo with this battery is noticeable heavier up to the point that I think that with 9 cell battery it won't be comfortable at all to hold it for long period of time. The problem is with the location of the battery in the top. The extra weight and the battery shape unbalance the gravity center of the device pushing it toward the top and that makes you feel a sensation like if the device is trying to turn your hands on that direction. With 6 cells you still have good control of the eo but 3 more cells, for a total of 9, probably won't be a very good idea. I like the design. I like the slope because it hides the battery no changing the front view of the eo. I also like the pieces of rubber located in the portion of the battery that touch the horizontal surface if you lay down the eo. 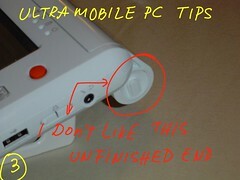 But I don't like the unfinished end of the battery shown in pictures 3. It just does not look good compared with whole eo design. Another thing that I noticed is that this battery fit in the battery bay a lot better than the original Battery. In conclusion, I'm very satisfied with this battery. It adds an extra weight to this unit but that's the price to pay for more battery life. I would recommend the 9 cell Battery when it's released by Mugen Powell (Unifirm) only when to have 6 hours of battery life is very important. The extra weight added with that kind of battery could make the eo very difficult to be handled. A short video of what seems to be the Medion MD RIM 1000 was uploaded to YouTube recently. Unfortunately, nothing new can be guessed from this video. The above picture shows some data from the eo V7110 Extended Battery with WiFi ON and Brightness around 30%. From what I can see the Battery life in these conditions should be between 3.5h and 4h. 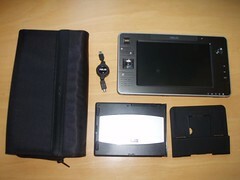 Yes, he received it and in a few hours he put together the first video review of the new i7210 from TabletKiosk. Bravo Dennis, now we need some numbers! Battery Life? Benchmarks? Games capability? 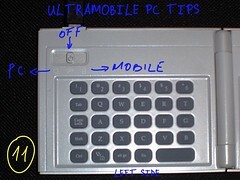 GottaBeMobile has found what seems to be an UMPC running Windows XP Tablet PC Edition... and it has a keyboard (for those that can't live without one of those)! The only details known about this device is that it has a 6.5-inch touchscreen, 802.11b/g WiFi, Bluetooth 2.0, onboard GPS, DVB-T tuner and webcam. Jeffrey Graebner has just posted the results of his tests using the just started to be shipped eo V7110 Extended Battery from TabletKiosk. ...It is very important to keep in mind that the standard test with Battery Eater Pro is designed to stress the system as much as possible with a goal of identifying a minimum battery life. Both tests were also run with wi-fi and Bluetooth active and with the screen at 50% brightness. Most of the time, the battery is going to last quite a bit longer during real world use. I frequently have seen a battery life of over 2 hours with the standard battery, which means that the extended battery is likely to often last for 4 hours or longer. 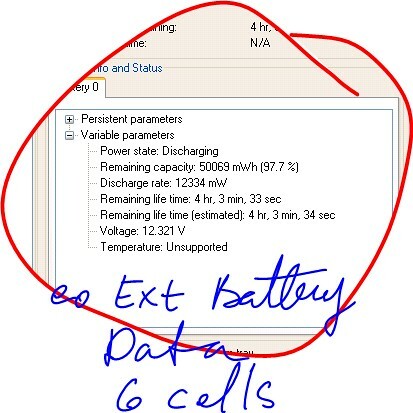 The expected result for a Battery with 6 cells, exactly the double of cells than what we have in the Standard Battery. With BT OFF, WiFi ON (Browsing) and 25% of Brightness this battery should last around 4 hours. I have to add that we have another Extended Battery coming soon made by UNIFIRM. This battery will have 9 cells so the battery life will be in the range of 4.5 to 6.5 hours. Off course, with this battery by UNIFIRM the eo v7110 will look a little bit bigger and heavier than with this 6 cell battery from TabletKiosk. Guys, stay tuned. 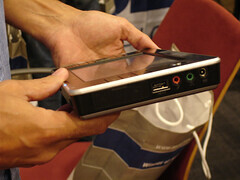 Hugo Ortega has received a new UMPC that I'm guessing is one of the i7200 series UMPC. In another hand, we have Steve from Carrypad.com that is supposed to receive his i7210 today. In both cases the result is the same: spectacular reviews coming soon! 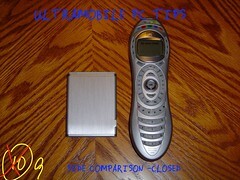 Jeffrey Graebner just received his eo Extended Battery and has ported some pictures at his blog. CDW is listing the Q1B from Samsung for just $899, 100 dollars less than the Q1 with the same amount of RAM (512MB) and HDD (40GB). CDW is also selling a version of the Q1 with a Pentium processor at 1 GHz, 1 GB of RAM and 60 GB HDD for $1249.99. 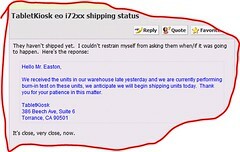 eo 7110 6 cell Extended Battery is being shipped by TabletKiosk. I just received an email with my FedEx tracking number. 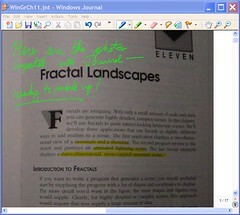 Now I am sitting on my couch with my touchscreen surfing the web and playing with Vista Media Center. Wifi works, audio works, screen calibration works. I am still downloading the bluetooth and camera but I hope those will works just as well. He is actually talking about his i7210 with Vista installed on it. The drivers for this device can be found here. Brandon Miniman at PocketNow, one of the most prestigious web sites about Pocket PCs, has just published a review of the TabletKiosk eo V7110. We're at Chapter 1 in this story, so naturally, things aren't evolved as we would all like. 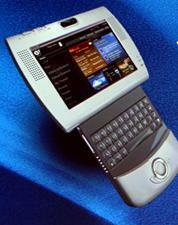 The eo 7110 is essentially a mini Tablet PC without a keyboard. It's bulky, not exactly lightweight, gets hotter than your standard laptop, and has meek battery life. Early adopters and those who find themselves wanting a smaller iteration of a Tablet PC will enjoy this device. Me, though, I'm staying on the sidelines for now. This review is fair in many points but when he said that the eo has redundant buttons. I can see clearly that we could live without at least two buttons but the fact that they are there gives us the possibility of using them with other programs or functionality. The World has lost one of the most important conservationist from nowadays. Steve Irwin, the passionate conservationist who shot to international fame as the Crocodile Hunter, was killed today in a freak accident while diving off the north Queensland coast. My condolences to his wife and son and daughter. The World never will be the same without you Steve. 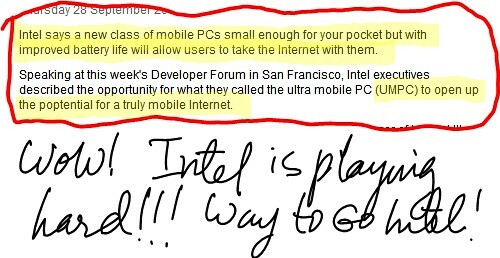 According to this email sent by TabletKiosk to one of the user who preordered an i7200, they will start shipping these units next week. If you own an eo V7110 and you have the opportunity to meet Amtek, what you would ask for? A better Brightness configuration program or tool that could allow owner to set whatever brightness level they like while running on battery or AC power. What you would ask for? UltraMobileGeek published this week the latest interview with some of the members of Origami team that I know about. Origami Team - Dustin: Over time we see the UMPC as appealing to a broad range of consumers from the busy professional, to the active student, to the stay at home parent. Initially new technology always appeals first to technical enthusiasts and early adopters and the UMPC is following that predicible trend. From Microsoft you can expect to see us continuing to deliver software that will focus on consumer scenarios such as media, entertainment, navigation, etc. to further the broader consumer appeal. I have to say that I have been in contact with Origami team a few times and it's a wonderful team. Steve, from Carrypad, is a real news hunter. Today he is posting about the latest information he has found of the Samsung Q1b. 5 hours Battery life. Yes, it looks like the VIA C7-M is finally being used to good effect. They are quoting 60% more battery life. Are you listening Amtek? Are you listening Intel? Thank you for your email. I understand that you would like to be able to search the text of downloaded PDF files. I have noted this suggestion and passed it on to the rest of the team for consideration. I appreciate your taking the time to offer us this feedback and encourage you to continue to let us know how we can improve Google Book Search. As this is still a young program, new features are under consideration and your feedback is very helpful. the Q1P will also have an increased battery life: up to five hours. I'd expect that some of the increase battery life is due to the Via chipset, but it's likely that we'll see a larger capacity battery than we have with the current Q1 model. Wow! 5 hours of battery life is really good! That's the way to go Samsung! One of my favorite sites is GotaBeMobile, and what makes them my favorite is their InkShows. They have perfected the art of reviewing electronics in front of a video camera and they have perfected as well the art of capturing the computer screen in wonderful software reviews. A few days ago I reported here about a new program for UMPCs called GPS.Radar. Well, GotaBeMobile has just published a InkShow about this program. Check this video review and you will see why GotaBeMobile is one of my favorites.